>> Interactive panel discussion on "How inclusive culture helps companies to succeed"
The capacity for the event is very limited. You seat will be confirmed based on the available no. of spots assigned to CEMS Alumni. We recommend to book your seat as soon as you can. You can cancel your attendance latest 48 hours prior to the event. Use this extraordinary opportunity to discuss, meet and share best practices with fellow CEMS Alumni and Googlers. For further questions please contact Pavlina at +44 7823 520 929. 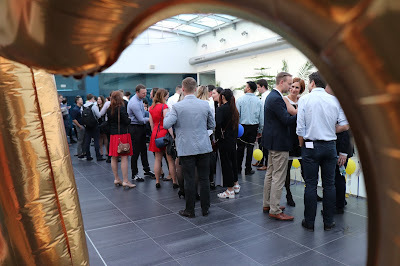 6 years after the first Networking Dinner we met again to discuss professional topics, enjoy great food, and of course meet new alumni – and it was even better than that time! We have discussed different topics and I believe the biggest value is for those present at the tables. However let me share with you some of the key outcomes. Entrepreneurship – quite surprisingly for me the outcome was not that positive as I expected. One of the concerns was about the number of new technologies which are significantly changing the business and thus making all entrepreneurial endeavors more risky. Another related point was that having a good save job in these days does not motivate you too much to move to the uncertain world of entrepreneurs. New technology – one of the topics discussed was the fear of many people losing their jobs because of the technological advancement. But the reaction to that was quite calming – this has never been different when new technologies and management ideas came. In other words the changes related to technologies are how this business universe work and we should accept that. Due to the big interest we had two tables devoted to this topic. The second tables came to a conclusion that it is actually difficult to come to a conclusion :-). The reason was that the experience of the participants was quite different. On the other hand the agreed on the impact technologies will have on improving efficiency and thus also on the number of people employed. FMCG/Retail + Manufacturing (we joined these two topics at one table due to lower number of interested people) – we spent some time discussing the difference between FMCG/retail which is rather sales driven while manufacturing (especially B2B) is rather production driven. We alse talked about the new concept that retail developers are trying - instead of designing shopping malls they are envisioning whole new districts. Work-life balance – part of that was about being a mother. Participants (not sure whether men too) agreed on the changes that makes on women – just enjoying that while being more efficient at work. But being employed is still something that must be usually negotiated with employers. On general note, and here the different generations of CEMS alumni present played some role, work-life balance is a concept which understanding and preference depends on your age and career stage. Simply if you have children you view long hours differently compared to a fresh graduate (I do confirm :-)). Leadership challenges / New or experienced team leaders – the main topic here is about the resistance to change which is in general a super important topic for all leaders. 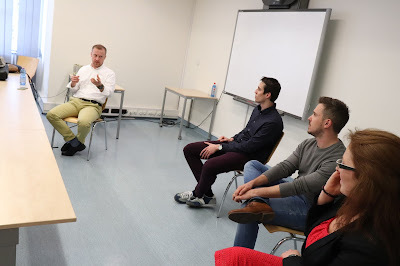 On the job training / Professional and personal development – here the team talked about different options provided by CEMS in Prague (summer school aimed at new view on corporate social responsibility and its impact). Another line of discussion was about the way to persuade / push your employer to support you in your learning and development activities by providing you with sabbatical or unpaid leave. 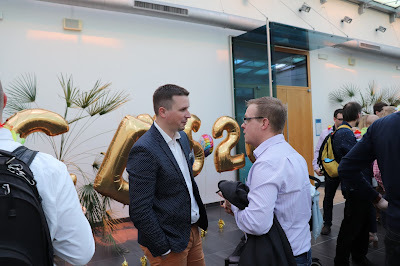 Thinking about new job opportunities / Have changed job recently – the discussion was mainly about the differences in recruitment process ten years ago and now. The difference is viewed quite a lot in the value of university degree (or the formal requirements) in the past compared to the higher focus on skills and practical experience these days. 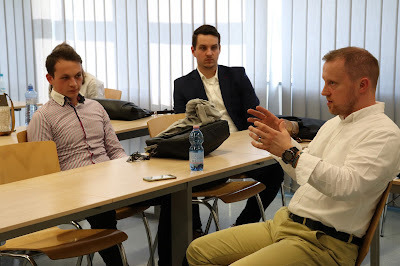 One of the notions was also about more people willing to be entrepreneurs (which is the case when for instance comparing CEMS graduates‘ preferences 10 years ago and now) and also about preferring better work life balance. I am quite sure I haven’t covered all the topics and their nuances covered by the teams. 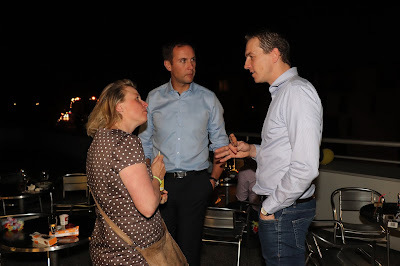 However I hope you find at least some of the outcomes interesting and will join us next time or even better – share your comments on facebook or below this article. To sum it up: I really enjoyed that and so did, I believe, all participants. I believe that everyone had a chance to meet someone new, enjoy quality discussion and really good food. I am looking forward to meeting you again soon! We are delighted to invite you for so often requested CEMS Alumni Networking Dinner 2018, i.e. 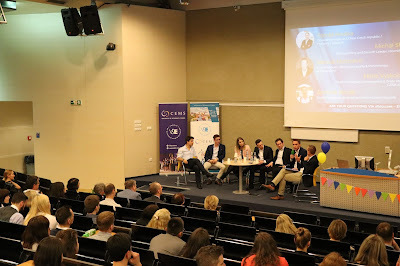 professional gathering of CEMS Alumni focused on sharing knowledge and experience as well as business networking. Mingle with other Alumni, exchange experience with those working in a similar field or sharing same professional challenges as yourself. Enjoy a delicious three course menu with a facilitated rotation around tables in a beautiful setting of Zofin Garden. Dinner with a facilitated rotation around tables. A unique chance to network with Alumni working in a similar industry, facing same challenges or sharing same professional values. 650 CZK + drinks (excl. drinks except for the welcome drink). Alumni who have paid their annual CEMS Alumni fee for 2018 or are lifelong members receive a special price of: 450 CZK (drinks excluded). Places are available for up to 30 participants (25 Alumni and 5 Students). Still not sure whether to come? Check the feedback received in one of the previous editions of the CEMS Alumni Networking Dinner. For further questions please contact Vojtech Oplestil. Use this unique opportunity to meet and mingle with other CEMS Alumni. Looks like the hot summer is over and it is time to get back to work... Come and discuss with your alumni friends your summer experience as well as your plans for the rest of the year. We will meet on 25 Sep at 7 PM in Gate in Sokolovská 31 street. Gate restaurant features a good mix of Czech and international cuisine as well as quite a nice selection of cocktails, rums, and wines. 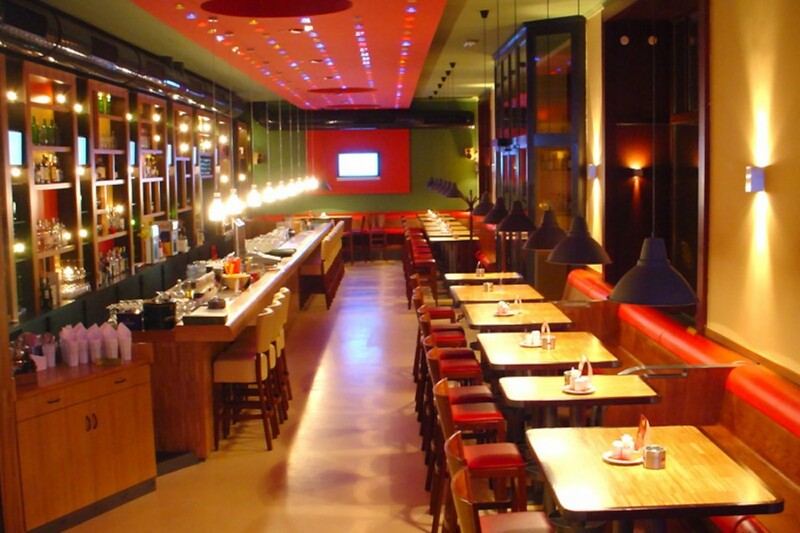 And if you don't find there your favourites we can always proceed to one of Karlin's wine bistros and bars. Register at Facebook or just send email to me. so far, just the pics, more to come :-). You can find more pics right here. Once again a great meeting of alumni, their partners and their children. Brumbambule is a great place and we can only envy our children such a great playground :-). Nevermind - having the opportunity to talk to each other is a great thing and I am sure we will continue with the family events tradition. almost all of our events are taking place in the evenings. So how about meeting each other in the morning? 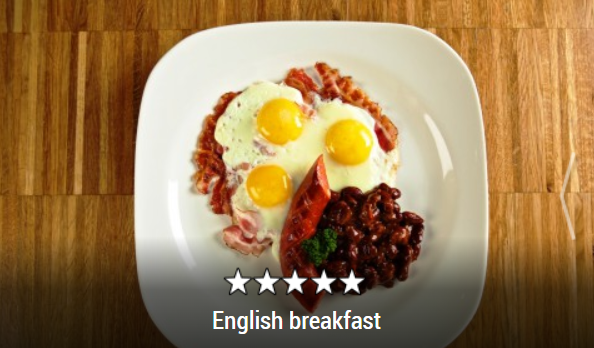 We all know that a great day starts with a coffee and ... a delicious breakfast. Therefore, we are organizing an Alumni Breakfast with both current CEMSies and of course the CEMS Alumni. During the breakfast we will be discussing our new and upcoming mentoring program and you can get in touch with some of the amazing alumni. The breakfast will take place on 6 April between 8:00-10:00 in Gate restaurant in Sokolovská street 31 in Prague 8. We are looking forward to meeting you :-). This year, VŠE is celebrating 20 years as a CEMS Alliance member. Moreover, CEMS Alliance celebrates its 30th anniversary in 2018. 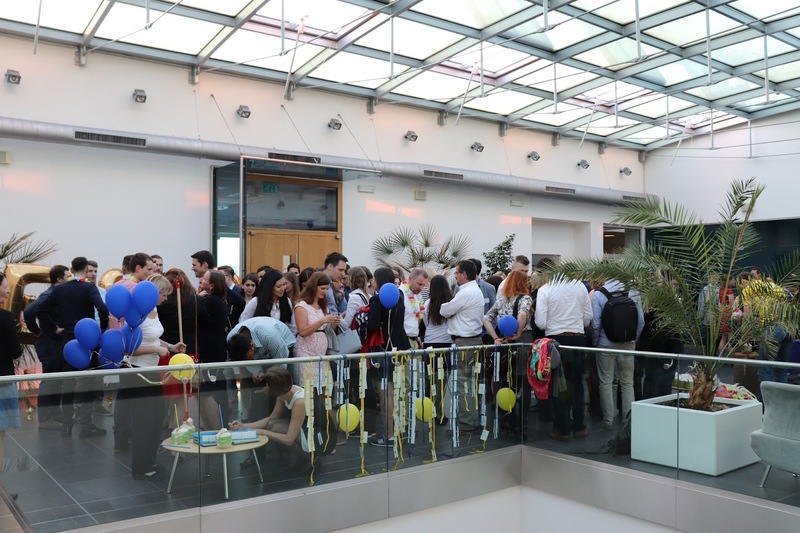 We find this anniversary as a nice opportunity to bring together all 543 alumni who graduated in the years 1998 – 2017, 98 students, corporate partners, academics and also prospective students. 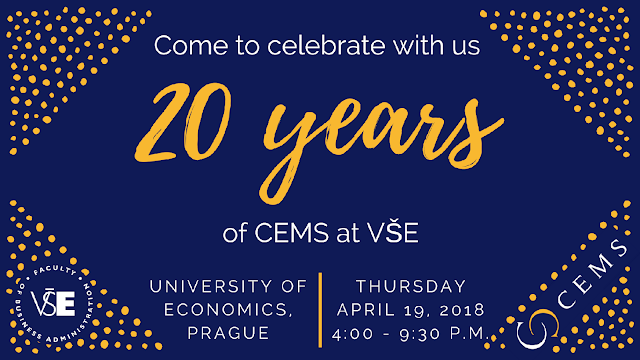 We cordially invite all CEMS stakeholders to the event: „20 Years of CEMS at VŠE“, that will take place exactly in one month, on Thursday, April 19, 2018, 4:00 - 9:30 p.m. on the premises of the University of Economics, Prague. 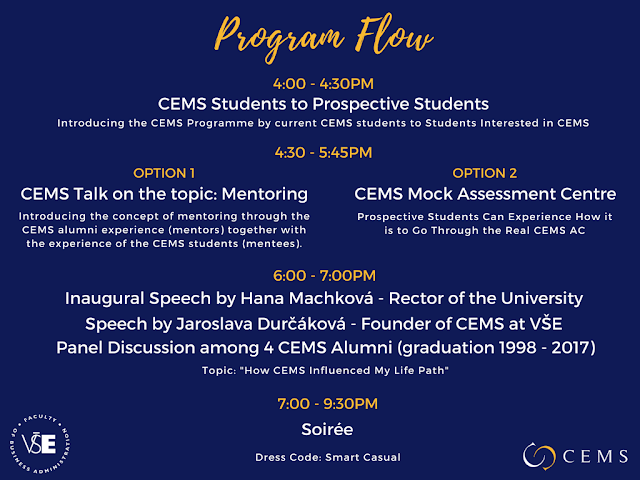 CEMS is about networking, so let's meet, network and enjoy a nice afternoon and evening together. Attached, you can find the invitation with the planned schedule. Details regarding the schedule can be found on our webpage. If interested, please register via this form before April 12, 2018. 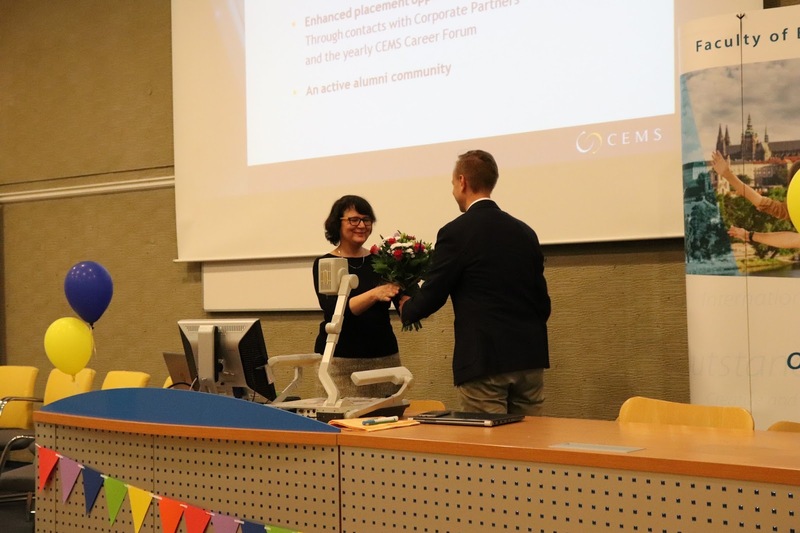 We would also like to collect your "Alumni Success Stories", where the main topic should be “How CEMS Changed my Life”. We desire to publish your stories (appx. 10 sentences) on our Facebook and web page. If you are willing to share your story with the photo, please, fill in your story in the registration form. Thank you very much. The registration fee is 300 CZK when paid before April 12, 2018 or 400 CZK at the venue. 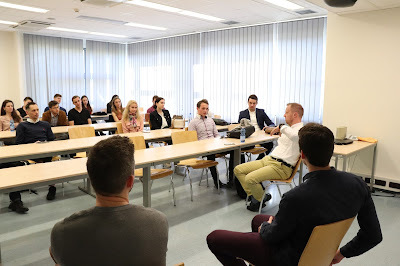 The registration fee is to be used as a donation for the CEMS Alumni Association Prague for further development of the CEMS Alumni activities in the Czech Republic. Thank you for your generous support. If you are either a CEMS corporate partner representative or CEMS Alumni Association member, your entrance is free of charge. In case of any further questions do not hesitate to contact us. #March issue of the CEMS Alumni Newsletter: Warm invitation for great CEMS events in the upcoming weeks! We are thrilled to invite you for greatly diverse CEMS Alumni events - all of them taking place in the upcoming weeks. And as a highlight do not forget to book your calendar on Thursday 19th April: The celebration of 20 years of CEMS MIM in the Czech Republic. Successful management career: it is easy to imagine the bright side of it, but what does it actually take? Come to discuss this topic with our top speakers. 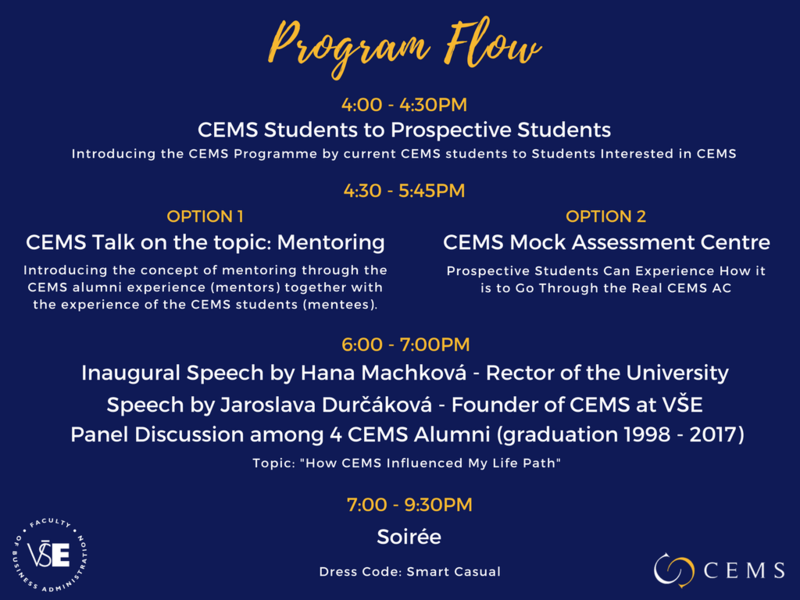 CEMS Alumni Association in Prague is a non-profit organization ran by volunteers To be able to organize events like this one in the future - we need your support. How can you support us? To cover our costs (e.g. for space rental, refreshment during events etc. ), we would like to ask you for your support. 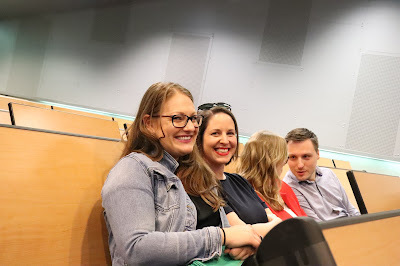 You can either join the Global CEMS Alumni Association or you can give a financial donation to our Alumni Association in Prague. For details please check this post. Our bank details are: IBAN: CZ16 2010 0000 0029 0011 9575, SWIFT: FIOBCZPP. Do you access to meetings / conference rooms or any unusual space (i.e. theatre, gallery) that we might use for future CEMS Alumni Events? Please let us know. Are you willing to give back to the CEMS Community? Do you want to join our team and prepare future events for other CEMSies? Please let us know. come and join us at another family event (yes, that means that the majority of participants will not be alumni but only potential cemsies :-)). 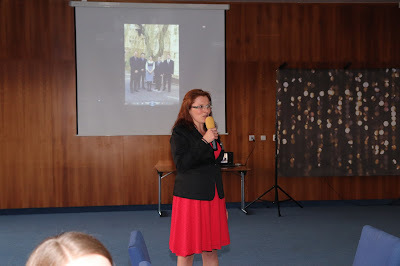 The last family event went pretty well, no children discouraged from becoming a cems student and not parent went mad. Registration: Via Facebook or send me an email. Looking forward to meeting you and your children!